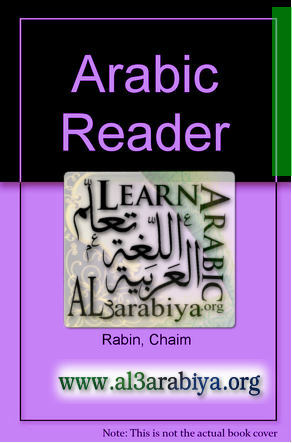 This reader is intended as an introduction to modern literary Arabic for those who have already acquired a grounding in the accidence and elementary syntax of the Arabic language. Modern literary Arabic is identical grammatically with the classical idiom of the Koran, and in style and vocabulary differs from it no more than our English from that of Shakespeare. It has, however, undergone a rapid development in the last few decades, since it has been made to serve as a vehicle for Western ideas and modes of thought. For this reason, most of the extracts in this book are from works written later than 1930, and hardly any earlier than 1920. All are by authors of repute and represent literary style, as distinct from journalese. It is hardly necessary to state that this little book makes no claims to be an anthology of modern Arabic literature. The extracts have been made short enough to be conveniently read one at a time even by a beginner. Wherever necessary, the original texts have been condensed, and the paragraphing and punctuation changed. The texts are printed without vowel-signs, like any ordinary book or newspaper, but all vowels are indicated in the vocabularies or m the notes. The only exception to this are the case and mood vowels (i’rab) إعراب, which the Arab normally omits in feading aloud. The student is advised to read each piece aloud with constant reference to the vocabulary and notes, until he is quite sure of getting the vowels right. In some cases it may be helpful to copy out the text and fill in the vowels in writing. But the reader must remember that he cannot be said to have studied a passage before he can read and translate it in its unvowelled form.